West Palm Beach Mayor Jeri Muoio unveiled the city’s new signature book, West Palm Beach: A City on the Move, at a book launch event held Tuesday afternoon at the Mandel Public Library in West Palm Beach. Recognized by the Mayor for the photography which comprises the majority of the book was local professional photographer, Christopher Fay. Additional photographic contributions were made by local businesses and nonprofits, including The Palm Beach Zoo, The South Florida Science Center and Aquarium, the FITTEAM Ballpark of the Palm Beaches, and Dreyfoos School of the Arts. Also recognized for the production and publishing of the book, was West Palm Beach-based StarGroup International, parent company of StarGroup Books. “Books offer municipalities like West Palm Beach a unique opportunity to showcase the beauty, local flavor, progress, and vitality of their location. 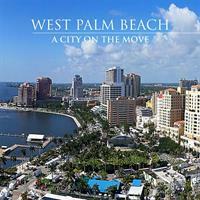 The City of West Palm Beach has become a highly attractive destination. This book will raise awareness through its widespread distribution,” said Brenda Star, President of StarGroup International. Members of the public, city employees, and city officials were also in attendance. The first 50 people received a bag of goodies which included the book, signed in person by the Mayor following the Q&A session. Copies of the book were donated to the library, where they can be viewed at 411 Clematis Street, West Palm Beach.